Sergio Ramos angered a plethora of Liverpool fans when his horror challenge on star man Mo Salah forced the Egyptian to limp off halfway through the Champions League final in Kiev back in May. With a majority of the Reds fans feeling Salah’s early withdrawal played a huge part in their downfall in Ukraine, it was not surprising to see them having fun at the 32-year-old’s expense online following Spain’s shock elimination at the hands of hosts Russia. 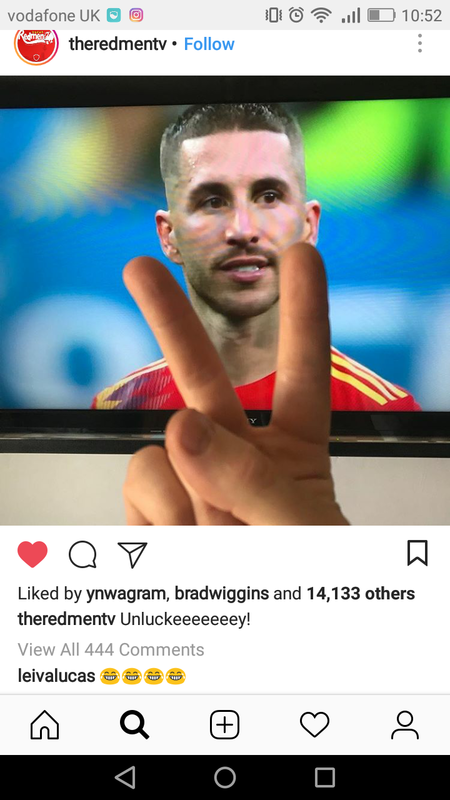 As Reds flooded in with their responses on a photo mocking Ramos’ perplexed reaction after the match, supporters were doubly delighted to see former Red Lucas Leiva also join in on the fun by commenting with a laughing emoji on Instagram.